Red’s Untold Tale reveals a new side to the ABC show Once Upon a time televisoin series. “Once Upon a Time” is a simple phrase almost every kid knows growing up, with the tales of knights slaying dragons and saving the princess filling young kids’ imaginations. On Oct. 23, 2011, the first out of seven seasons of ABC’s “Once Upon a Time” premiered, the show created by Edward Kitsis and Adam Horowitz. The show tells the continued stories of many of the most classic story characters such as Snow White, Prince Charming, the Evil Queen and many, many more. In the show, they don’t get into the deep background of some of the classics like Red Riding Hood, but on Sept. 22, 2015, Wendy Toliver released her book “Once Upon a Time: Red’s Untold Tale.” The book centered around Red while she lives with Granny in a small village plagued with werewolves, where boarding up the house and hiding during wolftime is a means of survival. Red shows a constant internal battle between her wild side and her strict, overprotective upbringing, and the issue of “control” as she discovers she has a hot temper when the “mean girls” push her too far. 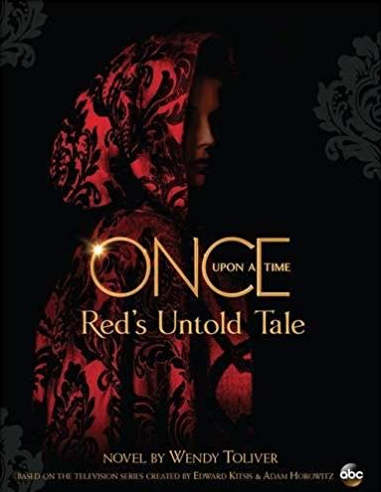 “Red’s Untold Tale” shows the lead up to the show “Once Upon a Time,” when the forest creatures that used to accompany Red on her deliveries are suddenly afraid of her once she turns 13, and she becomes taller and faster than her classmates. Red balances the difficult times with Granny at home and the girls at school with Peter by her side. With a happy ending and a happy beginning to the show, the book leads into the show flawlessly. Any person could just read the book and understand completely, while with watching the show, small details start to pop out at you while reading. Both the show and the book are both great stories, and you don’t have to see or read one to understand the other.